While grapefruit aren't exactly local here in Canada, they are available in abundance in stores and seem to be particularly delicious in winter. I was trying to think of something different to do with these grapefruit when I remembered a recipe in the New York Times a few years ago where they melted brown sugar in a frying pan and added the grapefruit on top, searing it cut side down in the pan. I liked the idea of caramelized sugar and warm grapefruit but also worried I may end up with burnt sugar all over my pans (not the most fun thing to scrub off), so I opted to use the broiler instead. The result is a sweet, tart, warm treat that takes no time to prepare and would make a delicious breakfast or light dessert at the end of a heavy meal. I had one leftover so I decided to make a grapefruit version of our whiskey sour recipe - delicious. Turn your oven on to broil. Slice each grapefruit in half, then slice a very thin piece of the rind off each end to create a flat base for the grapefruit halves to sit on. With the cut sides facing up, slice between the segments of fruit to release them from the surrounding rind and membrane (this will make it much easier to scoop out the segments when you eat them). Place in a roasting pan or on a baking sheet and sprinkle the top of each grapefruit with brown sugar. Place on a high rack in the oven and broil for 3-5 minutes until sugar is caramelized and the grapefruit is slightly blackened around the edges. Serve warm. Wow, I eat grapefruit all the time and not once have I thought of this! I'm definitely going to try it in the morning, thank you for sharing! Thanks Lydia! And thanks for following our blog. 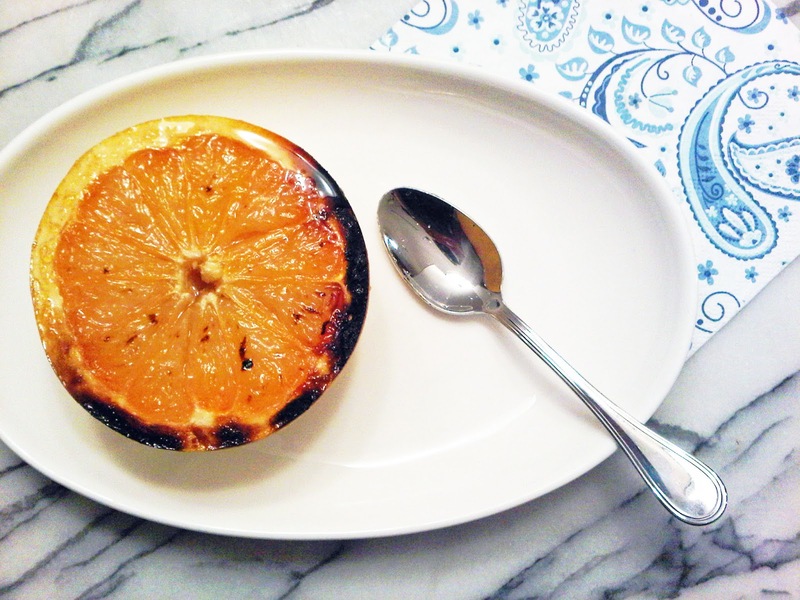 Hope you enjoy the grapefruit recipe, it's really easy and quick to make in the morning!